"He was tired of dealing with the government," said Kristi Suthamtewkal, whose husband owns the Thai Bowl Restaurant in Fort Worth, where Alexis worked in exchange for room and board. But instead of leaving the U.S., the former Navy reservist relocated from Texas to Virginia, where an IT company called The Experts put him on a government contract at the Washington Navy Yard. A day after Alexis, 34, gunned down 12 people at the yard, new details emerged of his troubled past — from his preoccupation with 9/11 to recent mental problems that included hearing voices in his head. 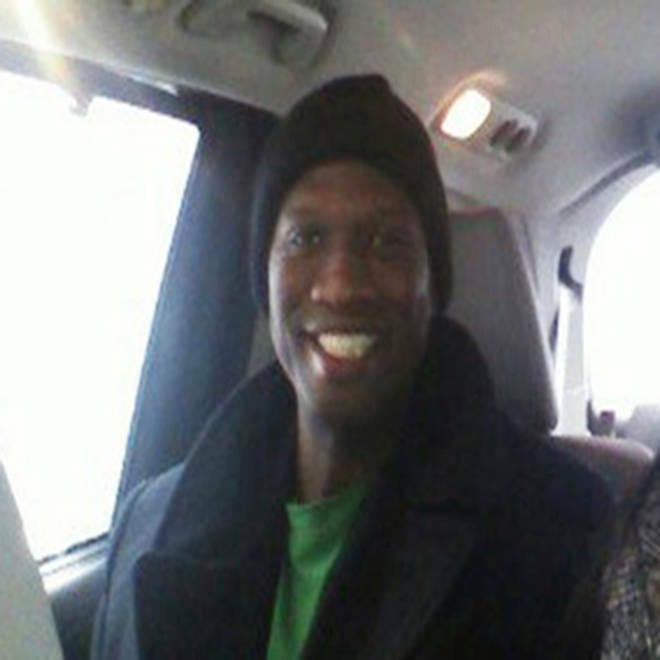 Aaron Alexis in an undated photograph provided by Kristi Suthamtewakul, wife of "Happy Bowl" Thai restaurant owner Nutpisit Suthamtewakul. Melinda Downs, who took in Alexis after he moved out of the Suthamtewkals' house last year, said he told her he suffered from post-traumatic stress after "surviving 9/11 in New York." And when Alexis was arrested in Seattle in 2004, for shooting at a parked car in what he called an "anger-fueled blackout," he brought up 9/11 during his interrogation and "how those events had disturbed him," police said. Three years after that arrest, Alexis enlisted in the Navy Reserves and served as an aviation electrician's mate — a third-class petty officer — before he was given an honorable discharge in January 2011. Military officials acknowledged that Alexis had disciplinary issues including absence without permission, insubordination and disorderly conduct. Among the problems: an arrest in September 2010 by Fort Worth police after he accidentally fired a bullet into the apartment above him while he was cleaning a gun with slippery hands. Prosecutors determined that there wasn’t enough evidence to bring a recklessness case. After his discharge, Alexis began an online course in aeronautics with Embry-Riddle Aeronautical University. He worshiped at a Buddhist Temple and was befriended by Suthamtewkal's husband, Oui, who " took him under his wing and took care of him." He was given a room at their house in exchange for help at the restaurant, where he was one of the more popular waiters. "Everybody loved him," Kristi Suthamtewkal said. He spent a lot of time in his room, burning incense, she said. Michael Ritrobato, a handyman at the restaurant, said Alexis played violent online video games but was good-natured, not angry. After he returned from a contract job in Japan in Nov. 2012, he didn't seem as easy-going, though. 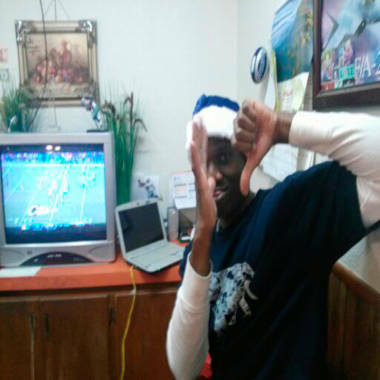 He felt like he had been cheated out of money from the contract and complained that he was mistreated because he was black, Kristi Suthamtewkal said. "He felt a lot of discrimination and and racism with white people especially," she said. There was also a growing sense of entitlement and disrespect, she said. "He did have the tendency to feel like people owed him something all the time." He got annoyed when she couldn't give him rides, and he started eating the couple's food without permission, and ignoring her when she complained, she said. When her cats developed fleas, he was angry. Mostly, though, she felt like he was fed up with the United States. 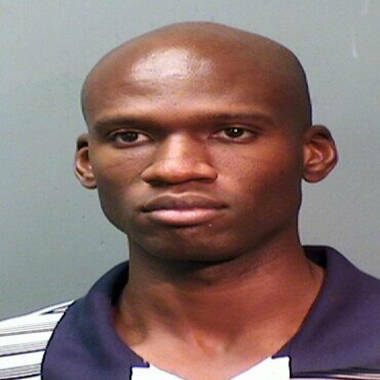 Aaron Alexis in a Fort Worth Police Department handout photo. “I knew he was not happy with America and he felt slighted as a veteran and he was ready to move out of the country," she said. When he abruptly left their house in July, he went to live with Melinda and Marvin Downs. "He would get really quiet sometimes, put his head down," Melinda said. "You would see him in thought but not in rage, not angry at the world." After he left Fort Worth for a series of jobs on the East Coast, Alexis kept in touch with the Downses. The last they heard from him, on Sept. 9, he said everything was going well in Washington. Even before Monday morning, though, there were signs that wasn't true. He sought treatment with the Veterans Administration for paranoia and hearing voices in two states. In August, Newport, R.I., police were called to a Marriott Hotel room where Alexis said he was being followed by three people and heard voices coming from his closet. He couldn't sleep because he thought they were using a microwave machine to send vibrations through the ceiling, the police report says. His small circle of friends in Fort Worth say they saw no evidence of mental illness or aggression and struggled to reconcile the accusations against their friend with the man they knew. "I don't know him as a monster. I choose to rather remember him as being the jokester. An honorable young man — not the one that flipped out and just went off on everybody," Melinda Downs said. Kristi Suthamtewkal recalled his devotion to the Wat Busayadhammavanaram temple. "Buddhism is a religion of peace," she said. "It does not make sense." Pete Williams, Jim Miklaszewski, Richard Esposito, Jonathan Dienst and Shimon Prokupecz also contributed to this report.